Fall in love with Puerto Rico and El Conquistador Resort while enjoying Exclusive Complimentary Perks when booking your stay across WhataHotel!. Situated in a unique location, on a cliff overlooking the ocean, each guest will experience the legendary Waldorf Astoria splendor in a completely awe-inspiring location. The beauty and allure of this picturesque Caribbean Island draws visitors from near and far, and a stay at this luxurious resort equals pure indulgence. They say variety is the spice of life and El Conquistador Resort has quite a selection of rooms and suites that will fit every vacation requirement. This exclusive resort is made up of five villages, all with a unique charm. Choose a garden or ocean view, a one, two or three bedroom suite/villa and revel in countless amenities to ensure your home away from home is complete perfection. An offering of laid back relaxation and action packed adventures awaits guests. Lounge by the pool, exercise in the lap pool or hit the Coqui Water Park (complete with water slides and a lazy river) all located close by. There is golf, tennis and the option to take a trip out to Palomino Island via catamaran for horseback riding and snorkeling. 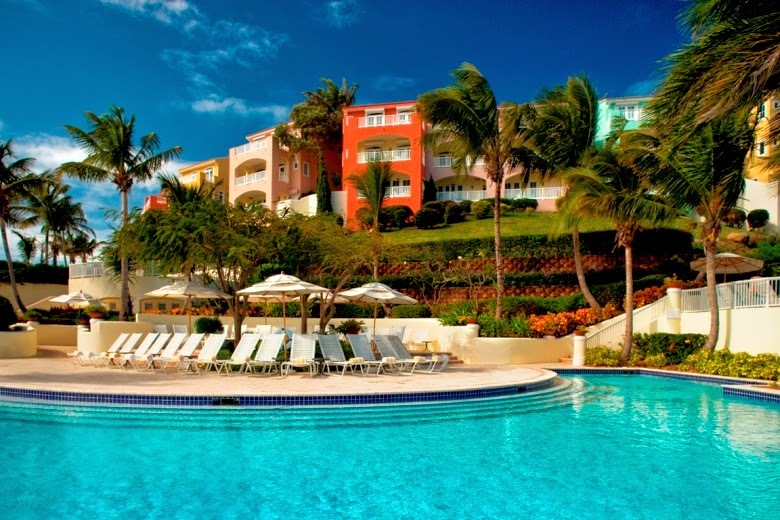 Whatever activity calls to you, El Conquistador Resort has the answer. For those looking to be completely pampered, the onsite Waldorf Astoria Spa is ready to indulge you; select a rejuvenating treatment and get ready to feel like a new person. 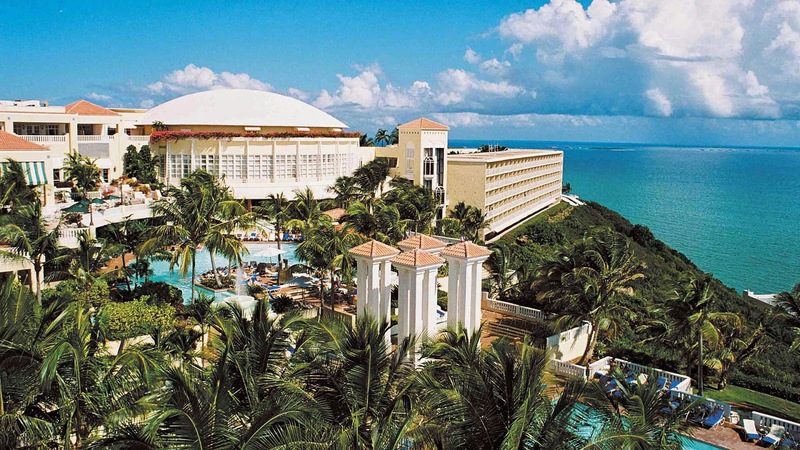 Hunger should never cause a need for concern when staying at El Conquistador Resort. Here guests can savor international cuisine at any of the 23 restaurants and cafes located throughout the resort. There is fine dining to a casual locales and each establishment provides guests with an outstanding meal not to be forgotten. Travel to the Island of Enchantment, the home to the ultra-chic El Conquistador Resort, and enjoy panoramic views of the ocean and a grand hotel treatment. When booking your travel across WhataHotel!, guests can savor Exclusive Complimentary Perks for an unbelievable deal. These remarkable perks include available upgrades at check-in, a buffet breakfast for 2 daily, access to the Waldorf Astoria Spa's Fitness and Wellness area for 2 daily, a $75 resort credit and options for early check-in and late check-out. 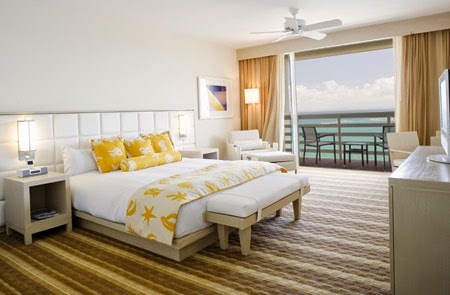 Allow sea breezes to kiss your skin while this award-winning resort caters to your every whim. 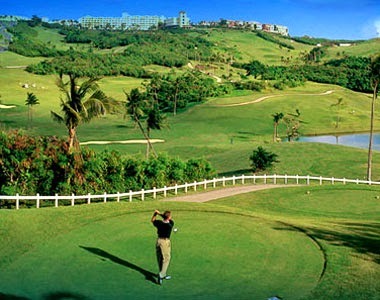 El Conquistador Resort might just be Puerto Rico's answer to heaven on Earth.